Dr. Scott Benjamin began using Zirc Crystal HD Mouth Mirrors when they first came out a few years ago and can’t imagine using a conventional mirror ever again. Here’s why. What do you like most about Zirc Crystal HD Mouth Mirrors? They are significantly brighter and more reflective than a conventional Rhodium mirror, which is especially important when you’re using a laser or working in areas that are difficult to illuminate. That increased brightness is absolutely essential for performing quality dentistry. When you use a laser you’re required to wear protective eyewear, which filters out some of the visible light transmitted and makes the working environment even dimmer than it normally is. Having the brightness of the mirror to help compensate for that is absolutely critical. Additionally, the plastic coated back side of the mirror head eliminates the chance of any specular reflection of laser energy off the backside of the mirror, which could be potentially harmful to the clinician and assistant. How do dental mirrors benefit the patient? It allows the doctor to work in an optimal environment. The biggest value to the patient is the doctor actually sees what he’s doing, even when working in an indirect manner. These dental mirrors have three different types to suit most clinical needs. One fits into a traditional cone socket handle so if a doctor or hygienist has a specific handle they prefer using, they can. One has a narrow plastic handle that makes it light and one has a large ergonomic handle that is designed to reduce stress and fatigue. The variability makes the mirrors work very well in any clinical environment. The Crystal HD Mouth Mirrors from Zirc reportedly offer a 40 percent brighter reflection than a Rhodium lens. Because of this extra brightness, mirrors are said to reduce eye strain and fatigue, and are ergonomically designed to maximise comfort and control. All Crystal HD mirrors are Autoclavable. How do the mirrors benefit the clinician? They save me time and help me see things I would not normally see, which enhances my quality of care and makes me work much more efficiently. I’m able to see so much more clearly, especially during laser and endodontic procedures. Those are the two places the mirror is extremely valuable, but it’s also valuable for all procedures and any time you’re working with indirect vision. The ability to have the surgical site or treatment area properly visualised becomes extremely critical when working with a mirror. Traditional mirrors absorb some of the light energy so the site becomes dimmer than it would be if you were working with direct vision. This isn’t the case with the Crystal HD Mirrors. Why would you encourage other dentists to use these mirrors? They’re addictive. Once you’ve tried one you will probably never go back to a conventional mirror. You don’t know what you don’t know, and in this case you didn’t know what you weren’t seeing when you couldn’t see it. Being able to visualise the treatment area is extremely critical and the Crystal HD Mirrors enable you to see a much clearer, much brighter, more illuminated area. 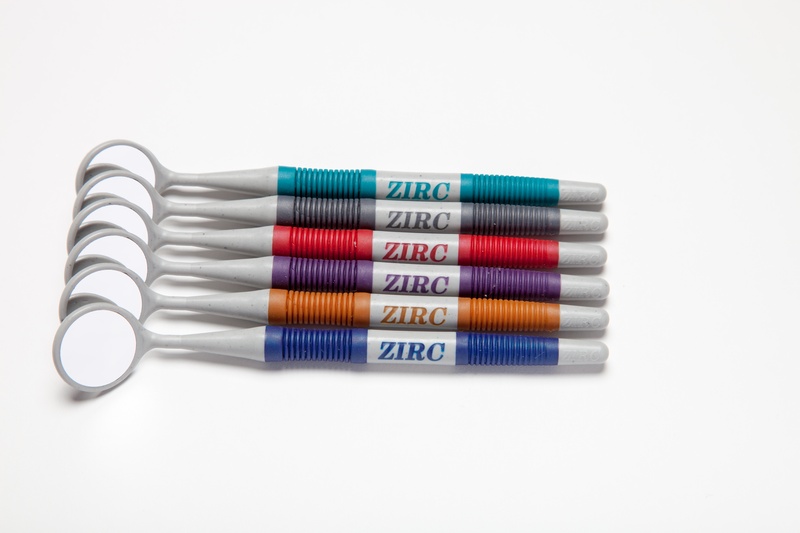 Learn more about the Zirc Dental Mirror range and find your perfect dental mirror.